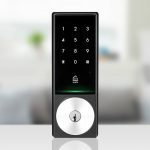 while keyless home entry is not new, the August Smart Lock by Yves Behar is one new kid on the block that stands out aesthetically. touted as a “secure, simple, and social way to manage your home’s lock”, the August is developed by the famed designer Yves Behar, whose portfolio includes anything from pillboxes to game console to luxury mobile phone, and technology entrepreneur Jason Johnson. 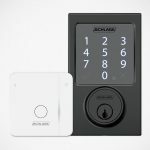 like most keyless entry available market, it fits over the existing deadbolt of your door and syncs with your smartphone. 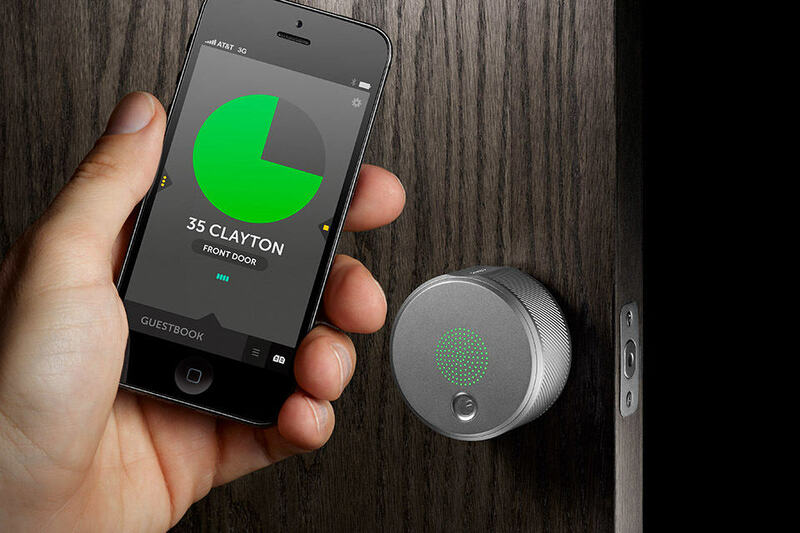 working along with a smartphone app via Bluetooth connectivity, August senses the presence of your phone (which hopefully is you who’s carrying it) and unlocks the door automatically for you so that you don’t have to fumble with keys when your hands are full. with the app or web-based portal, you can grant access to your friends, family, cleaner et cetera and assign them specific entry times. the lock will even notified you when the authorized person enters and leaves. additionally, these granted access can be set to expire after a certain period, thereby ensuring that your ex-housemate will not be intruding into your abode when he or she is not suppose to. August is battery-powered and is not dependent on your home wireless network, and therefore there’s no worry of power outages or whatnot that would disrupt its functionality. moreover, it uses the same secure communications technology as online banking, which should give you the peace of mind that it won’t be easily hacked by your geeky neighbors or any criminal minds. the August Smart Lock by Yves Behar will go on sale later this year for $199.